We welcome back Valentin Stalf, CEO of N26 back to the show. Simon spends some time to catch up with Valentin on N26’s growth and how they’ve forged ahead expanding to new countries. Valentin talks about what is needed to be done to enter the UK market. We cover N26’s growing pains related to cyber security, Valentin’s approach to countering it and using bug bounty programs to create a sustained defence. We talk to advantages of digital on boarding and what the future looks like for N26 and open API’s. We then find out what it’s like to be a young CEO and how to stay productive while having the world on your shoulders. You can follow Valentin on Twitter here and learn more about N26 on their website. 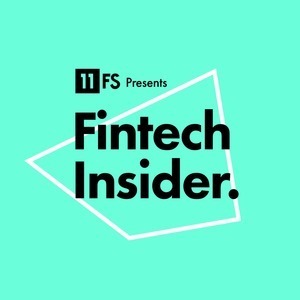 Enjoying FinTech Insider? Tell a friend about us and please leave us a review on iTunes. The post Ep258 – Interview: Valentin Stalf, Co-Founder & CEO at N26 appeared first on 11:FS.